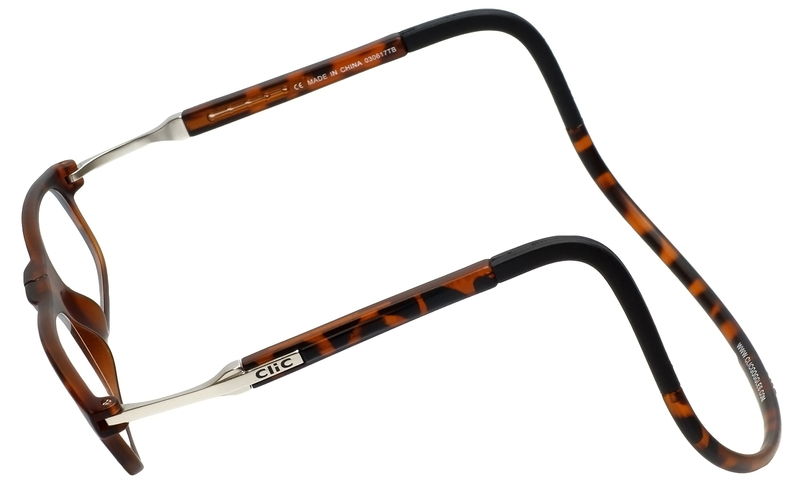 Clic Flex has quality, refinement and maximum adjustment sorted, putting the brand way ahead of any inferior parallel product. The front frame and head band are made from a 'soft-touch' TR90 and there is a rubber-coated flexible section over the ears. This allows the wearer to flex the band up or down and either widen or narrow the band to allow for a custom fit. The connecting temple-pin is cast nickel-silver, making it stronger than other models and is stamped with the CliC logo.